Biting the hand that once fed him has come naturally for Mick McCarthy who have managed to get the upper hand on former employers Wolves, but there could not be a better time for him to make it three victories in a row. Ispwich currently find themselves three points clear of the chasing pack in the race for the play-offs which could ultimately go down to the wire, with their trip to Molineux coming at a crucial point of the season. Consecutive victories at Portman Road against Blackpool and Cardiff have put the Tractor Boys in a good position, but with just three games remaining, they cannot afford to slip up and allow Wolves or Brentford to go above them. 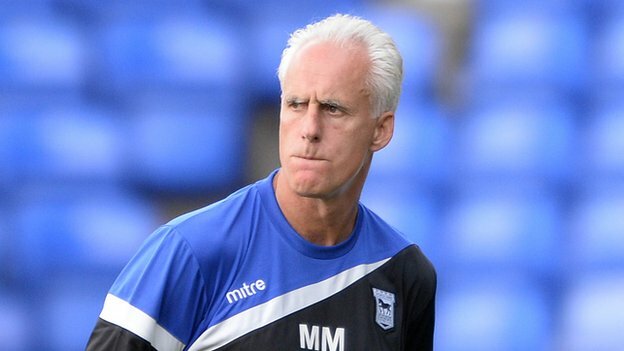 Avoiding defeat would arguably be the best outcome for Ipswich who have real hopes of returning to the Premier League after an eleven-year hiatus, and with the play-offs often turning into a complete lottery, there is every chance that McCarthy could become a top-flight manager once again. Ipswich will be aware that Wolves have an impressive home record and usually play their best football on home soil, but going into the game on the back of six defeats from the last eight games away from Portman Road may not fill their fans with confidence. A big performance is therefore required to ensure they nullify Wolves’ attacking threat and pose their own problems, particularly through the league’s top scorer Daryl Murphy who has been outstanding in front of goal. Their fantastic 1-0 win at Watford proves the McCarthy’s team have it in them to produce the goods away from home, but it may need the experience and quality of Christoph Berra and Tommy Smith to come to the fore and provide the defensive foundations for the Tractor Boys to gain three invaluable points. Consecutive 2-1 defeats at Birmingham and Middlesbrough have resulted in Wolves losing their grip on a play-off spot and opened the door for Ipswich to steal a march on them. However, Kenny Jackett’s side have a perfect opportunity to redeem themselves against Ipswich and go level on points, although they will still find themselves behind McCarthy’s men on goal difference if they manage to come out on top in the potential winners-take-all clash. Five victories in their last six fixtures at Molineux may make Wolves favourites to provide yet another dramatic twist in an unpredictable Championship season at the top, with Bakary Sako, Nouha Dicko and Benik Afobe continuing to find the back of the net on a regular basis. Jackett will need all three to be on song to fire Wolves towards victory, but Richard Stearman and Danny Batth will have to stand up strong to prevent Murphy, who already have twenty-four goals for the season, from adding to his tally. The Blues almost have one of their hands on the Premier League trophy. With them leading the Premier League table 7 points clear and having one more game to play than the other teams, it’s not that much probable than they would end anywhere, but, at the top come the end of the season. But, Jose Mourinho, who has already had the taste of glory at the Premier League level in the past, does not want the intensity to drop in his squad at all. The Portuguese has warned his players that a lot of work has still to be done; otherwise, the mission of becoming the Champions of England again might not get accomplished. According to Mourinho, rather than thinking about what the other teams require, his boys should think what they require. Mourinho told Maraton bet that if Chelsea emerge victorious in 5 out of the 8 games that they have to play in the top tier now and plays one draw out of the remaining 3, they would be able to get the job done. If Chelsea makes it to the glory, it will be a first for them in the last half a decade. Last time also when they had won the league, it was Mourinho who was in charge of them. For Mourinho also, it will be another feather in the cap although he has had a lot of success in other countries too. The England national football team made an early exit from the 2014 World Cup as the team of Roy Hodgson failed to win a single match in the group stages and was knocked out surprisingly fast. The national side has appeared to be recovering from their underwhelming streak of performances at the international stage as Roy Hodgson and his squad have not lost a single match after the 2014 World Cup reached it’s end. Wayne Rooney continued on by saying that the team has picked up a more aggressive playing style which has resulted with the players being more energetic and quick when it comes to recovering the ball or taking it away from the enemies. “It’s not so much about being ‘nasty’ but certainly about being aggressive.Not in a bad way in terms of putting really hard tackles in, but getting up to the ball quickly. We are harrying teams and making them make mistakes.’’ Rooney added on. England’s latest qualification saw them claiming a 4-0 triumph over Lithuania as the English side are the leaders of Group E and favorites on not only advancing through the next rounds of the European competition but have also been edged on at least reaching the semi-finals.